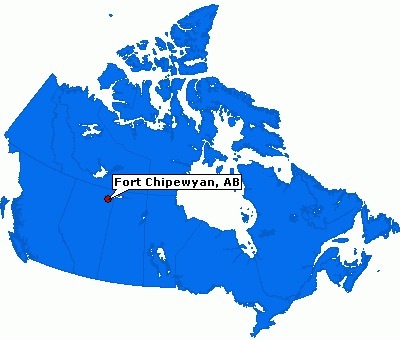 In the far reaches of northeastern Alberta, on the western tip of Lake Athabasca, is Fort Chipewyan, or Fort Chip as it is fondly known by locals. As a hamlet, Fort Chip falls within the Regional Municipality of Wood Buffalo, half way between Fort McMurray and the NWT border. Fort Chip 593 km north of Edmonton, AB. Roderick McKenzie of the Northwest Company established Fort Chipewyan in 1788 as a fur trading post – named for the Dene Tha’ people of that area. The location of the fort was chosen for its accessibility by canoe or York boat in the summer, and by dog sled in winter. 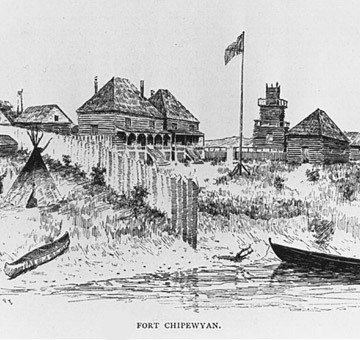 Fort Chip was established as a fur trading post by Roderick McKenzie of the Northwest Company in 1788. Accessible by canoe or York boat in summer, and by dog sled in the winter months, the fort was named for the Dene peoples of the area (Chipewyan). 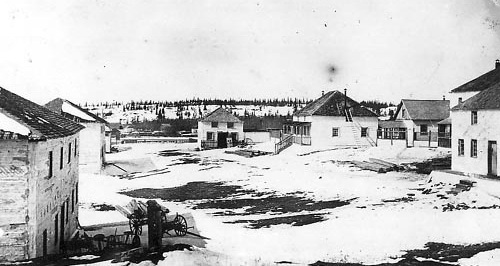 The mid-20th C brought winter roads that connected Fort Chip to Fort Smith in the Northwest Territories, and to Fort McMurray in the south. Winter roads are only functional when there is enough snow and ice to support the weight of large vehicles. Once the ice has broken on the rivers in the spring, Fort Chip can also be reached by air (since 1966). For more adventurous types, access is also available via the Athabasca River from the south. The latter tends to be undertaken for recreational or symbolic purposes these days. In addition to complex transportation in the region, those living in Fort Chip long did so without electricity. The first house in the hamlet to get access to electricity was in 1959, and the first telephones arrived shortly thereafter, in 1962. Despite these seemingly insurmountable challenges, the Dene, Cree, and Métis peoples living in Fort Chip over multiple generations have a long history of thriving in the area. At their core, their stories also teach about the importance of family and community. Once such story in particular offers a remarkable example of personal ingenuity and resilience and the strength of a resilient and cohesive community. 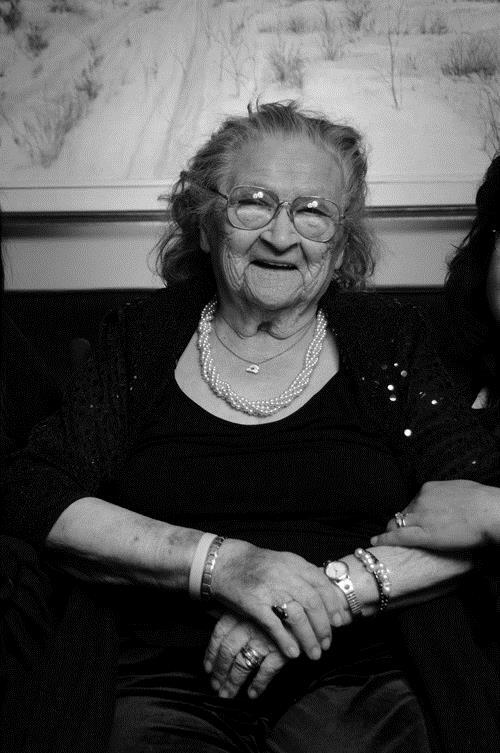 Violet Hansen was born in Fort Chipewyan in August of 1927. 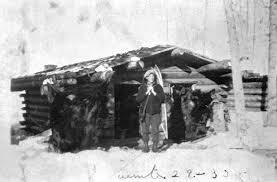 As the eldest of nine children born to Jenny and Edward Flett, Violet’s life history offers intriguing insights into a uniquely Métis way of life in Fort Chip in the early decades of the 20th C. As Violet describes it, hunting, fishing, and gathering were activities that ensured the family’s survival. 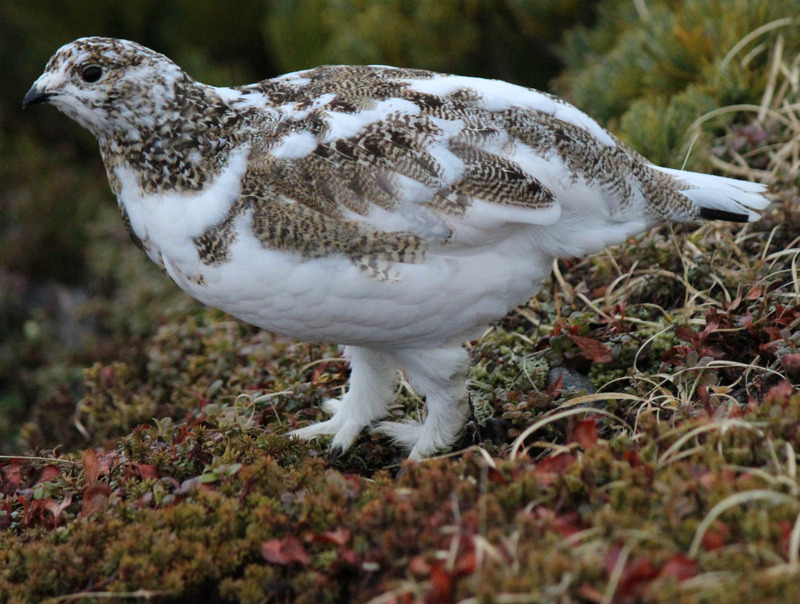 Ducks, geese, ptarmigan and muskrat were common food sources. The way she tells it, “there’s nothing to setting rabbit snares.” Rabbit was consumed often by the family. Fishing was also an food source for the Métis community in Fort Chipewyan. Because of the community’s location beside Lake Athabasca, whitefish, jackfish, and pickerel were all plentiful. 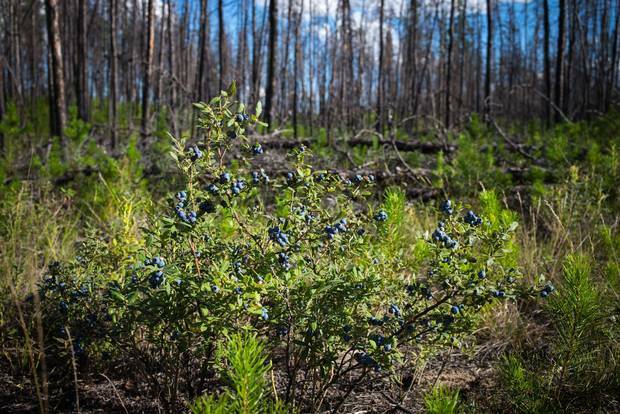 Berries were picked by family groupings in late summer, but as Violet explains, care needed to be taken given that other species, i.e. bears, also favoured the berries at this time of year. Violet recalls the family using a coal oil lamp as well as candles to light their home. Heating relied on ensuring sufficient supplies of firewood for the long winter months. As for ironing and washing, families would use a “gas iron to iron your clothes,” and the washing machine had to be activated by hand. By today’s standards, living in Fort Chip during Violet’s early life would have required lot of hard work! Violet’s story reflects an profound sense of self-reliance and shared responsibilities. Everyone in the family would pull together to get things done, and everyone was always ready to help everyone else. This ethos was also prevalent in the broader Métis community, for example in the way that families shared with each other following hunting and fishing trips. When neighbours and relatives came calling, Violet explains that often times this was for medical purposes. In particular, folks would come to see Violet’s mother, Jenny Flett. Jenny was born in Fort Chip in 1905 and later would become quite famous for the life giving work she performed for so many. That baby was the first of hundreds of babies that Jenny Flett would deliver before she retired at the age of 75. In the 50 years she practiced as a midwife, Jenny delivered 487 children without losing one of them, or any mothers either. Jenny was well-known in the Fort Chip community for her skill and care during deliveries, which included massaging the mothers and administering home remedies to aid in the recovery process. Jenny saw midwifery as her duty and thus did not charge the family for her services. Unlike her own mother, Jenny made sure to bring her daughter along whenever a baby was on its way, “she always had me with her,…I was still young,…I used to go with Mum all the time, I’d help her out,” she said. In part owing to changing times and greater access to medical services, Violet did not become a midwife like her mother. 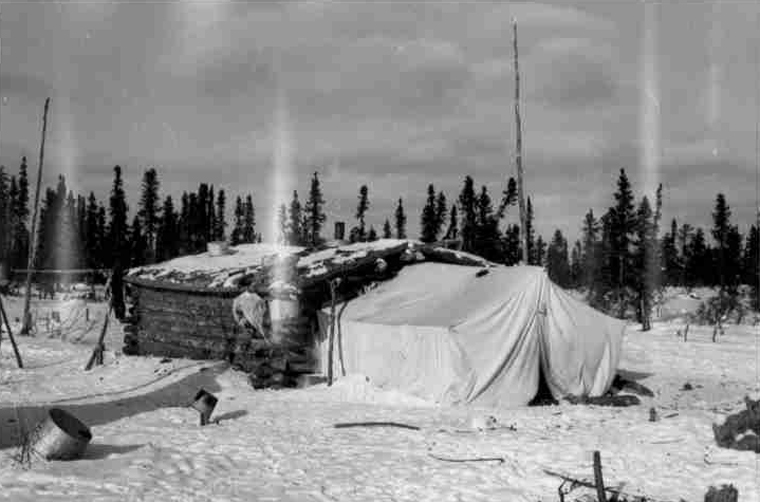 In addition to the chores she had as a youth, Violet has fond memories of seasonal trips to Wood Buffalo National Park, “I used to go trapping with my brother Sonny for seven years in the spring of the year, in the park, he had his own [trap] line. Two of us in the bush for three weeks.” For the most part, smaller animals were caught, since buffalo hunting was regulated by the federal government. In 1957, Violet married her husband Lloyd Hansen and they spent their first year of marriage living out on the trap line in Fort Chip. The next year, the couple packed up all of their belongings and boarded a bush plane for Fort McMurray. 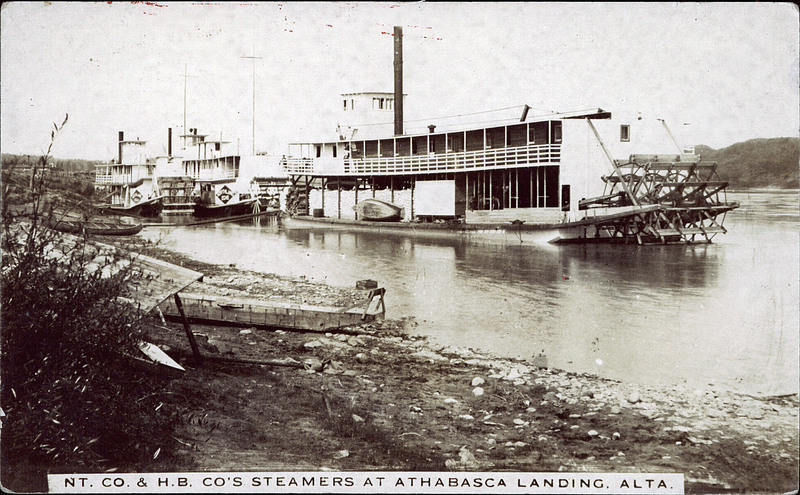 Violet’s husband was working for Northern Transportation, a chartered boats company that hauled passengers and freight from Fort McMurray to Fort Chip and other locations within the Athabasca River watershed. In their twentieth year of marriage, Lloyd, Violet’s husband, died unexpectedly in a “car accident, coming in from Edmonton.” Suddenly widowed, Violet continued living in Fort McMurray, close to three of her six children. In later years, the family grew in Fort McMurray with the addition of several grandchildren and great-grandchildren. Violet’s strong presence in the community is deeply respected. At 86, she remained active, including attending “bingo every night and regularly close[d] up the Legion,” all the while socializing with friends and family. Violet was named the Métis Local 1935 Elder of the Year award in 2013, and was given a Regional Aboriginal Recognition Awards Lifetime Achievement Award in 2017 (p. 42).